Land grab under DQ: it's all guided by principle! 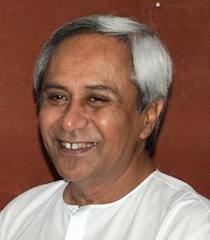 In view of the involvement of several of Biju Janata Dal (BJD) leaders and ministers of his current as well as the previous cabinet in the land allotment scam in the state of Odisha, one must hail Naveen Patnaik for tracing and inducting so many talented leaders in the party and his cabinet. In spite of the fact that a part of responsible media is genuinely critical about Naveen Patnaik and his government, this letter (in form of a satire) intends to hail Naveen Patnaik for his search of talents that make his cabinet transparent and principled.